Parking lots and business parks are often secured with fences, automatic sliding gates and cameras. It is important to provide a smooth passage for passing cars and trucks. In the case of sliding gates and barriers, detection loops are often used, which are installed in the ground and are connected to a loop detector. Loop detectors analyze induction loops installed in the ground and recognize an approaching vehicle in time. Safety switch strips are mounted at the closing edges of a sliding gate. This guarantees safety for people and vehicles. BBC Bircher Smart Access offers activation and safety units that ensure trouble-free operation of your site fence. Read more about loop detectors and induction loops. The ProLoop 2 loop detectors analyse induction loops installed in the ground. The loop detector detects metal vehicles of all shapes and sizes, whether they are bicycles or heavy trucks. 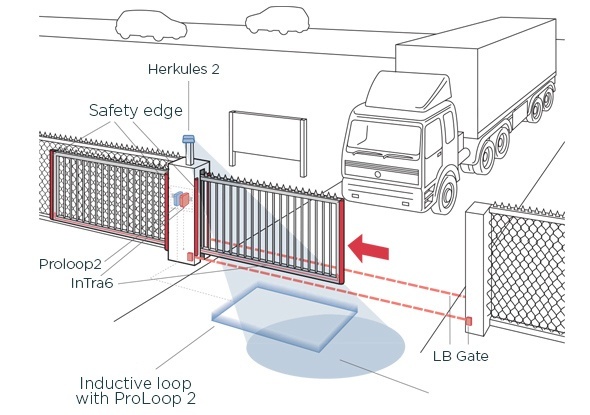 The ProLoop Lite monitors and analyses the installed induction loop, detects all kind of metal vehicles and ensures that the sliding gate can engage immediately. 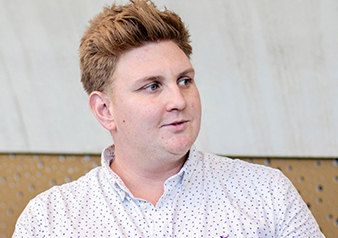 The ProLoop Lite makes use of ProLoop's standard functionalities. The RFGate 2 systems transmit the status of the pressure-sensitive safety switch strips - safely and wirelessly - that are affixed to the mobile section of the gate. This information is transmitted radiographically to the switching device. Programming, assembly, connecting - done! The inductive signal transmission system InTra6 indicates the status of pressure-sensitive safety switch strips safely and wirelessly on the mobile part of the sliding gate with the help of inductive signal transmission. The LBGate can be used in a wide variety of applications and offers reliable protection up to a range of 30 m. The compact thru-beam light barrier system LBGate TB18 stands out with repeatable switching points and high operating reserves. The reflection light barriers LBGate R18 and LBGate R25 operate with polarised reflectors, which means only one device requires electrical connection and installation. All these principles also detect shiny and reflective objects. The small sensors can easily be integrated into door frames and are easy to install. The electronics are completely integrated into the light barrier. No external booster electronics are required. The BBC Bircher Smart Access switching devices monitor the connected contact mats and safety switch strips for activation and interruption. Moreover, they are monitored for changes in quiescent current levels. The easy-to-read LEDs and the LCD screen indicate the status of the connected signal providers in the twinkling of an eye. 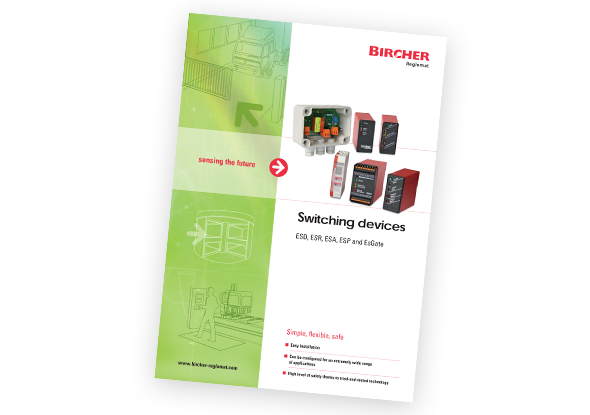 You can rely on being able to install and operate your switching device quickly, thanks to the user-friendly settings. EsGate 2 and EsGate 3 are switching devices that can be programmed in numerous ways and are well suited to a wide range of applications in combination with contact mats or safety switch strips. 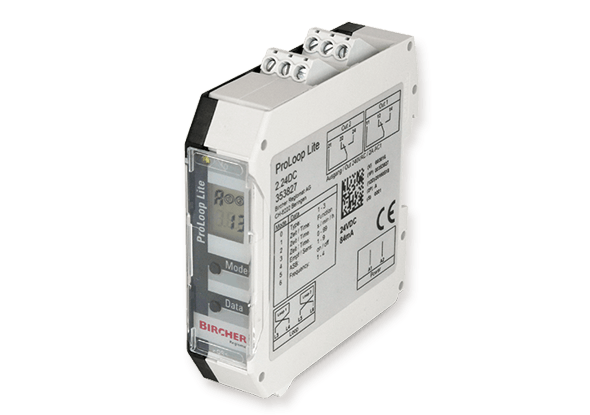 These switching devices are also monitored on quiescent current and safely analyse the impulses emitted by signal providers. EsGate 3 is equipped with two fully-fledged channels and self-security, and complies with Performance Level e, Safety category 3 according to EN ISO 13849-1. View EsGate 2 & 3 and read more specifications. EsMatix 3 comes equipped with two signal inputs. EsMatix 3, together with the switching device safety mats or strips, is part of a certified system that complies with the requirements of PLe with category 3 according to EN ISO 13849-1, that guarantees the safety of sites, robots and automated work spaces. 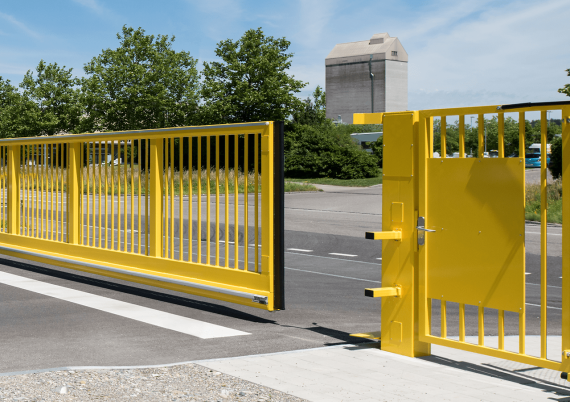 BBC Bircher Smart Access products are well suited to various sliding gate applications, for both private and industrial use. Any questions about your application? Call or email us for appropriate advice. We will be happy to respond to your queries. 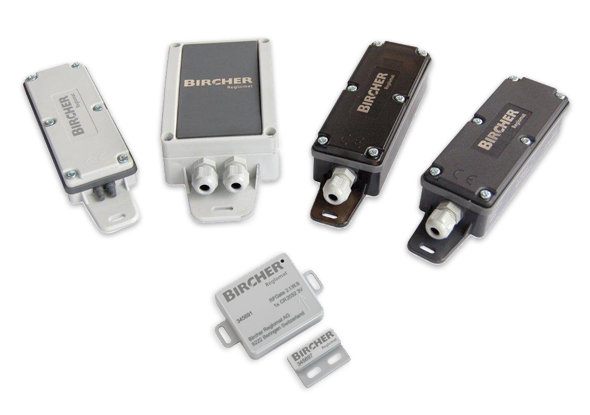 BBC Bircher Smart Access products are suitable for many different applications, both for private use and for industry applications. 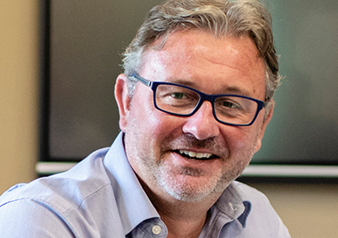 Read more about the different products for access technology by BBC Bircher Smart Access.